The marijuana industry is growing up. On Tuesday, the National Cannabis Industry Association (NCIA) officially came into being to represent the interests of the marijuana industry and its consumers. The group aims to influence policy in Washington, DC, just the same way any other industry does -- by lobbying the federal government to protect the interests of its members. "We've seen such tremendous growth in this industry in the last five years," said NCIA executive director Aaron Smith. "It seems like the industry is not just surviving in the midst of economic decline, but booming. But it wasn’t represented in Washington, DC, like all sorts of other industries are. I just started talking to some of the major industry players, and just about everybody was really enthusiastic about jumping on board. This thing just blossomed." The makeup of the NCIA's board of directors, with about one third of its 23 members from California, one third from Colorado, and one third from the rest of the country, correlates roughly with where the cannabis business action currently is. Most of the board members represent dispensaries or associated businesses, but there's also Kush magazine, Weedmaps.com, a pipe-market, an insurance company, and a hemp-seller. At least three board members have well-known positions favoring marijuana legalization. As long-time head of the Marijuana Policy Project, Rob Kampia has put big money into legalization initiatives; Oaksterdam University's Dale Sky Jones was a spokesperson for the Proposition 19 legalization initiative; and as director of Sensible Colorado, Brian Vicente is working with others to get a legalization initiative on the ballot there in 2012. "We wanted to be diverse in the types of businesses represented," said Smith. "It's not just dispensaries, it's all these other businesses creating thousands of jobs and hundreds of millions of dollars for the economy." Becky DeKeuster is CEO of Northeast Patients Group, which will operate four state-licensed, nonprofit medical cannabis dispensaries in Maine. DeKeuster joined the NCIA board of directors and hopes to encourage others in the medical cannabis community to support the fledgling trade association. "I’m proud to be one of NCIA’s founding members," DeKeuster said. "This organization will be a great step forward not only for the medical cannabis industry, but also for the interests of the countless patients nationwide who rely on us to provide safe and effective natural medicine." Another NCIA board member, Kush Magazine CEO Bob Selan, said that the trade association will be the force that finally unifies an extremely diverse industry. "In my years working for a top cannabis culture publication, I’ve met an astonishing number of talented individuals who are experts in their particular field. From cannabis cultivators to pipe manufacturers to crop insurance brokers, all will benefit from being collectively represented by the national industry association," Selan said. 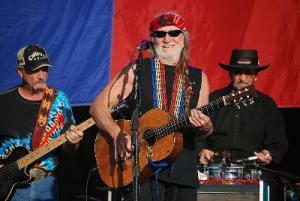 The NCIA wants to attract at least 200 members in the coming year, Smith said. Regular membership costs $1,000 a year, a sponsoring membership is $2,500 a year, and a sustaining membership is $5,000 a year. If the group meets its membership goals, it could raise a minimum of $200,000 to go to work on Capitol Hill. A sponsoring membership gives the member the right to vote on the group's board, half of which will be up for election each year. A sustaining membership gives the member the right to run for a place on the board. With the board setting policy, the NCIA is an association that will truly be run by its members. "Our intention is to hire a lobbying firm," said Smith. "Right now, we have Steve Fox from MPP working part-time for us. As we raise funds, we'll be hiring lobbyists in the District and bringing in a full-time staff." The group will work to get the federal government to let states set their own marijuana policies, and to ensure that federal agencies treat businesses compliant with state laws just like any other law-abiding businesses, said Smith. He pointed to agencies like the IRS and the Treasury Department, as well as the Department of Justice. "We want cannabis-related businesses treated the same as any others," he said. "Now, we have things like banks not accepting deposits from legal medical marijuana providers. We may well be lobbying executive agencies to make administrative changes, as opposed to congressional action." Smith is based in Phoenix, which, as he pointed out, is the "next wave" of legitimate cannabis businesses after Arizona became the 15th medical marijuana state earlier this month, but he'll be hitting the road to build the NCIA, he said. "I'll be traveling the country and getting new members to get the clout we need to make the change we want. Our lobbyist will be representing hundreds of businesses, thousands of jobs, and millions of tax dollars. It's really important we build membership as fast as we can." The NCIA is in embryonic form right now, but it has the potential to open a new front in the battle to end the persecution of marijuana users and producers. The degree to which it succeeds will be a measure of the real maturity of the contemporary marijuana industry. 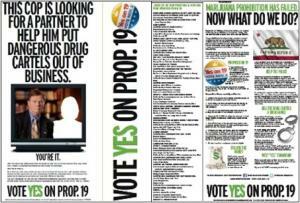 Los Angeles Times readers woke up Monday morning to find a Proposition 19 ad wrapped around Section A. A day earlier, they were greeted with a full-page ad in the Sunday newspaper. The print ads are part of a last minute advertising campaign that also includes ads on Comedy Central's "The Daily Show" and "Colbert Report," millions of ad impressions on Google and Facebook, and a radio ad campaign highlighting the disproportionate harm that marijuana prohibition causes for communities of color is hitting five Southern California stations, three of them Spanish-language. The ad campaign is being funded by a $1 million donation last month from financier George Soros and is being run not by Yes on 19, the official Prop 19 campaign committee, but by a political action committee controlled by the Drug Policy Alliance. The ad campaign is part of a frantic effort to sway voters and get out the vote as the clock ticks down toward Tuesday night. 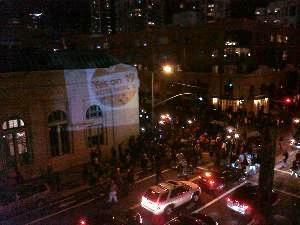 A barrage of recent polls have shown the measure losing, but Yes on 19 said Sunday that victory is still within reach. The campaign cited youth energy, the get out the vote effort using state of the art technologies, general voter disaffection, and pollsters' likely undercounting of turnout generating by interest in the measure. "Together, these factors put 19 in a better position to win on Election Day than is indicated by the mainstream media narrative," campaign consultants Dan Newman and Chris Lehane argued in a memo Sunday. "In the final days of this historic campaign, millions of Californians will be exposed in every media platform to the Yes on 19 message," said Stephen Gutwillig, DPA's California director. "We’re communicating to young voters in particular because they bear the brunt of marijuana enforcement and their turnout is crucial to Tuesday’s outcome." Soros and DPA are by no means alone in joining the fight to legalize marijuana in California. In addition to advancing the public discussion on marijuana policy -- a Google search for "California Proposition 19" generates nearly 7.9 million hits -- the fight to pass Prop 19 has also generated the broadest outpouring of support for pot legalization ever. From labor to law enforcement, from identity politics organizations to the blogosphere, from entrepreneurs to elected officials, from law professors to doctors, from political organizations all across the ideological spectrum, a nice chunk of US civil society has rallied around Prop 19. According to the Prop 19 campaign's endorsements page, it has law enforcement backing from the National Black Police Association, the National Latino Officers Association, Law Enforcement Against Prohibition, former Seattle Police Chief Norm Stamper, former San Jose Police Chief Joe McNamara, retired California Judge Mike Grey, and dozens of other former and current police officers. Prop 19 has been endorsed by more than a dozen prominent physicians, led by former US Surgeon General Jocelyn Elders, and more than 75 leading law professors. It has been endorsed by dozens of California elected officials, the Berkeley and Oakland city councils and the Humboldt County Board of Supervisors. Former Mexican President Vicente Fox even spoke out about it last week, saying "May God let it pass." The measure has the backing of the California Green, Libertarian, Socialist, and Peace and Freedom parties, the Young Democrats, the Republican Liberty Caucus, and the Progressive Democrats of America, as well as 10 county Democratic Party organizations. The California NAACP, the Latino Voters League, the Northern and Southern California ACLU chapters are all on board, too, along with dozens of other state and local organizations. A mother's group was organized for the occasion. In a real breakthrough, Prop 19 has also picked up significant support from organized labor. The Service Employee's International Union (SEIU) of California, the United Food and Commercial Workers Western States Council, and the longshoremen's union have all put their names and their political machines behind the initiative. So have a number of locals across the state. Rolling Stone magazine publisher Jan Wenner kicked in $2,500, while insurance magnate Peter Lewis donated more than $200,000, Facebook co-founders Dustin Moskovitz and Sean Parker gave $70,000 and $100,000 respectively, while Dr. Bronner's Magic Soap president David Bronner kicked in $75,000, Men's Warehouse owner Robert Zimmer gave $50,000, and Washington, DC, activist and hemp store owner Adam Eidinger kicked in $25,000. Other sizeable reported late donations from less prominent figures have come in as well. In the month of October, not counting the Soros million, the Prop 19 campaign has generated nearly $900,000 in donations. All that money is making the last minute ad blitz possible. But that's not all that's going on in the final days. A massive phone banking and get out the vote effort has been joined by FiredogLake and its JustSayNow campaign, Students for Sensible Drug Policy, StoptheDrugWar.org, DPA, the National Organization for the Reform of Marijuana Laws, California Young Democrats, and California College Republicans. For example, at UC-Berkeley, students are mobilizing around the initiative and are identifying it as the most important issue for young people in this election. In addition to tabling and canvassing, they held rallies this weekend, as did supporters in other parts of the state, all in an effort to create visibility and remind people to vote. 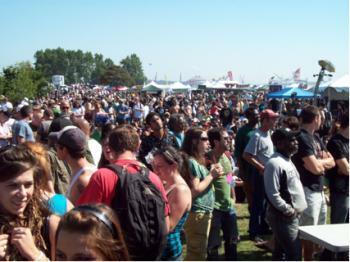 "Students are waking up and taking notice," said Kat Murti, a former president of Cal Students for Sensible Drug Policy and Yes on 19's Bay Area regional director. "Thousands of students lose financial aid each year due to marijuana offenses, including Berkeley students. This issue clearly affects and motivates them like no other political topic." Let's hope that's the case, and that the ads, the media buzz, and the organizing draw out enough "unlikely voters" to change the world with a win on Tuesday. 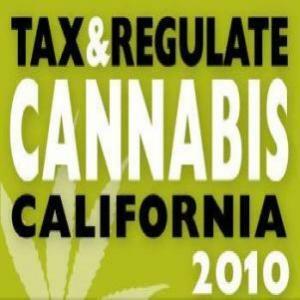 Last month, Drug War Chronicle reported that cannabusinessman and dispensary operator Richard Lee, creator of Oaksterdam and founder of Oaksterdam University, had assembled a team of activists, attorneys, political consultants and signature-gathering pros for an initiative to tax and regulate marijuana in California they hoped to place on the November 2010 election ballot. Drug reform organizations were apprehensive, however, worrying the proposed initiative was too soon, the polling numbers weren't high enough, and that a loss could take the steam out of the legalization push for years to come. 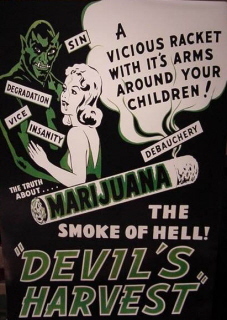 Is reefer madness (e.g. marijuana prohibition) winding down?